Luxury is an experience, and as such, Sade Awe decided it was high time to create an event that would become the expression of Luxury itself. Thus, The Inner Circle Experience was birthed! The first Experience of its magnitude. Designed with those entrepreneurs in mind whose livelihood is the art of creating �WOW� for a clientele which has seen and done it all. Sade dreamt of an Experience that would encourage, pamper and inspire the Industry�s most successful creatives. She dreamt of an Experience that would help professionals hone their already in-depth knowledge and reveal information which would elevate their businesses to a fresh, astounding level of success. Unprecedented in its scope and vision, The Inner Circle Experience has been designed solely for top-tier Luxury Industry professionals. By invitation only, the Experience is carefully curated, in both content and community, creating the most relaxing and engaging environment possible for networking. Workshops are specifically tailored to entrepreneurs� specially voiced concerns. Elite, successful speakers address pertinent issues and interactive panel discussions which have been implemented to provide ample time for targeted responses to invaluable questions. The Inner Circle Experience ultimately reenergizes the most accomplished executives in the Industry, and proffers plentiful opportunities for strategic partnerships to emerge. 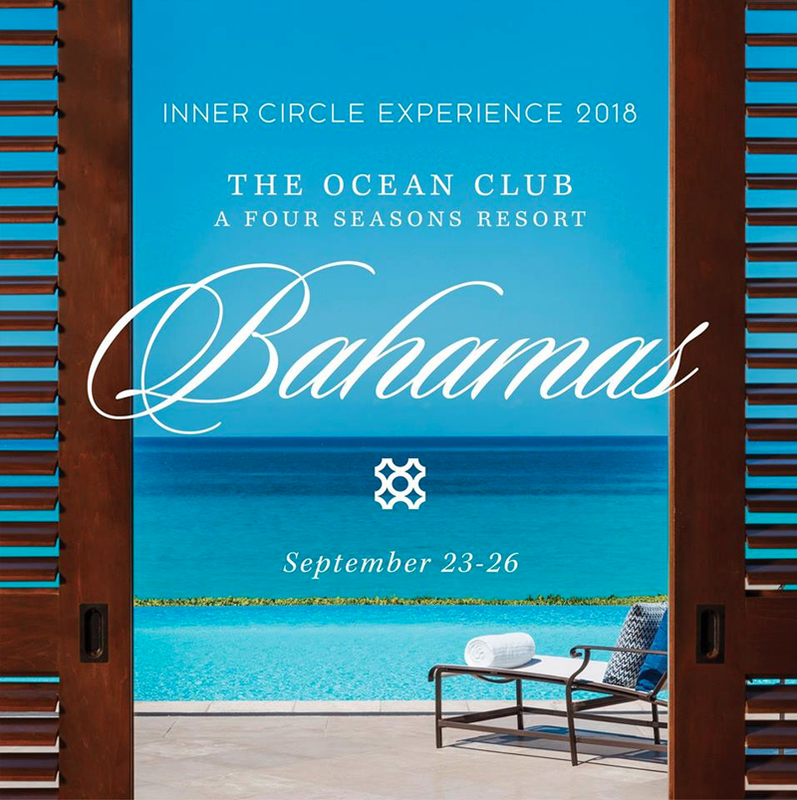 In September 2018, we are offering an unforgettable Inner Circle Experience Luxury Summit in The Bahamas � a time for you to get away, sit back, relax and become our guest. Experience the art of perfected luxury and be elevated to heights you�ve never imagined. For immediate assistance, call our office at 214-533-6665 or contact us by email at hello@theinnercircleexperience.com.